Thanos has all six Infinity Stones in latest 'Avengers: Infinity War' promo art – AiPT! We know that Thanos is coming for the Infinity Stones in Avengers: Infinity War. We know that the Earth’s Mightiest Heroes are going to do their damndest to stop him. Because Avengers 3 and 4 are a two-part undertaking however, what we don’t know is whether or not the Mad Titan will be successful in garnering all six Infinity Stones to complete his Infinity Gauntlet. If the Infinity Gauntlet and Infinity storylines from which the Avengers film draw their inspiration are any indication, then yes, Thanos may very well find himself in full possession of a completed Infinity Gauntlet. 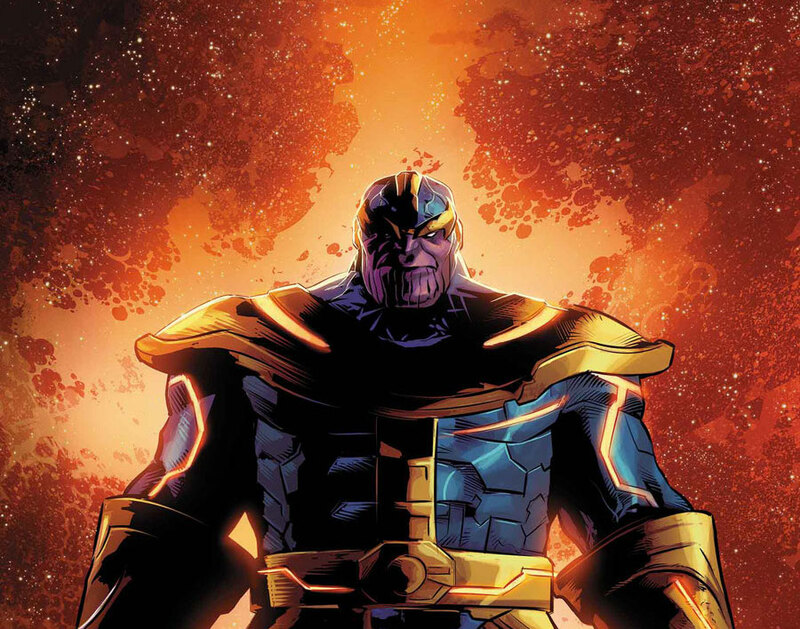 And as that s--t-eating grin on Thanos’ face in the image above implies — that’s a very frightening thought indeed. Will Thanos gain possession of all the Infinity Stones in Avengers: Infinity War? Sound off in the comments.